The sky was still a gloomy gray and the colors of the city seemed to have been washed out by the rain. But the glistening puddles of water seemed to invite a unique photo opportunity for the already picturesque Intramuros. One of the central architectural pieces in Intramuros is the Manila Cathedral. We already have a shot of the cathedral but as we were about to pack up and go home come dusk, it was lighted up outlining the facade into its splendor. 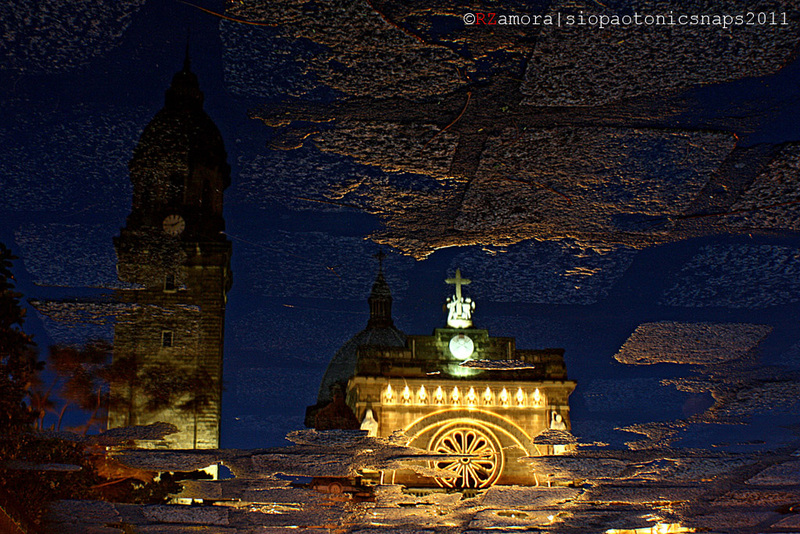 Even the puddles mirrored the beauty of the only “Minor Basilica” in the Philippines.